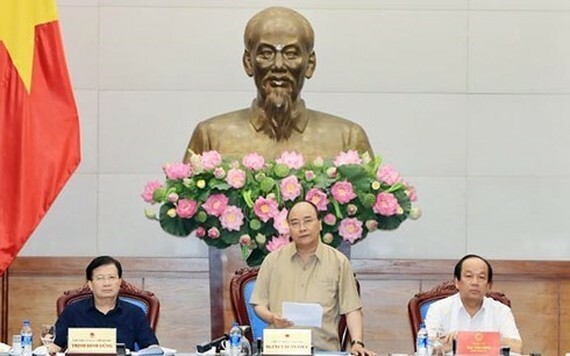 Prime Minister Nguyen Xuan Phuc underlined the pressing need to focus resources on tackling climate change in the Mekong Delta in the wake of landslides along river banks, canals and seashores threatening life and property of local residents. At a working session with representatives of 13 Mekong Delta localities in Hanoi on May 9, the leader listed An Giang, Dong Thap, Ca Mau and Bac Lieu as the most affected by landslides. He said following the issuance of Government Resolution No. 120 on sustainable development in the Mekong Delta in response to climate change, mid- and long-term capital has been allocated to deal with 17 out of 42 specially dangerous spots. Apart from reinforcing dykes, localities in the region should address a number of issues of public concern like the unplanned and over-exploitation of sand and gravel, while heeding forestation. He also urged the localities to adjust the planning of residential areas and production, along with stepping up cooperation with regional countries in regulating water flows, especially during dry season. The PM decided to allocate part of the State budget to Mekong Delta localities, helping them build urgent and important facilities, and part of the country’s ODA fund to form a climate change fund in the region. The Ministry of Agriculture and Rural Development (MARD) was assigned to make proposals on support for localities, which will be sent to the Ministries of Finance, and Planning and Investment. The Ministry of Planning and Investment will submit the proposal to the PM before May 15. The MARD reported that landslides have occurred at 562 locations of river banks and seashores, with a total length of 786km, of which 42 spots stretching 149km in specially dangerous conditions. 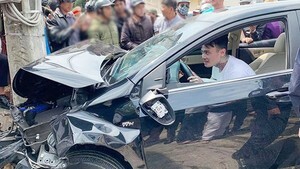 It needs about 6.99 trillion VND (307.56 million USD) to reinforce such eroded locations, the ministry said.